For the second year in a row, the Johnston County Visitors Bureau has released a handy and informative one-page brochure detailing the 2019 race schedule for the JoCo area. The Run JoCo Run brochure is a collection of all the opportunities to stretch your legs and collect some medals throughout this year. A copy of this brochure can be found at one of our visitors centers around the county. Race events are mostly 5ks with some run/walks, 10ks, road races, and even a triathlon mixed in. There is a race to celebrate health, to celebrate veterans, and even races with Thanksgiving and Christmas themes. 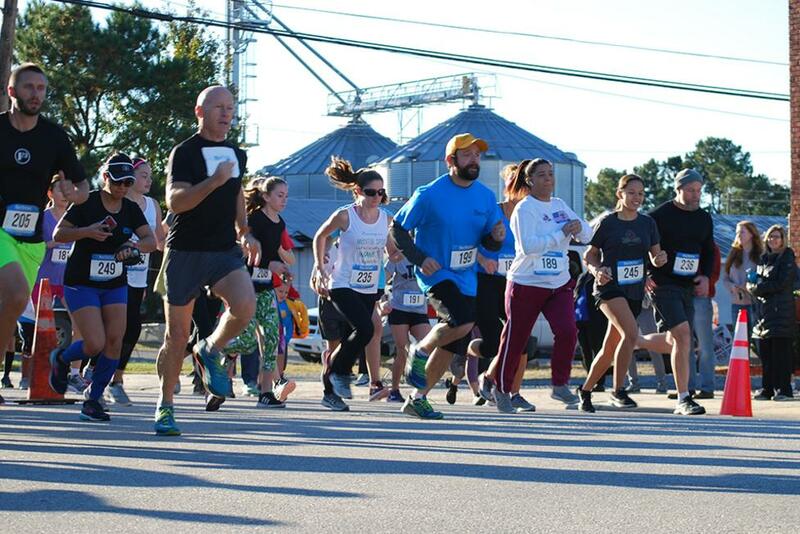 The races are not organized or hosted by the same organization and in fact, are held all over Johnston County - Selma, Smithfield, Clayton, Benson, and even Archer Lodge. But that doesn&apos;t stop local and visiting runners from participating in multiple events! For your convenience, we have included a list of the races below. More information will be posted as it becomes available on our events calendar. A curated list of run-related events can be found on our JoCo Runs page. If you&apos;re coming into the county for the weekend in order to participate in a race, check out our hotels and packages page.